Finding in-home care for yourself or a loved one can be an overwhelming process. There are many options out there for senior home care but finding the right one for your family and at the right cost can be challenging. A cookie-cutter approach to services isn’t what we do, we carefully match caregivers to clients making sure that seniors we care for are happy and comfortable in their own homes. 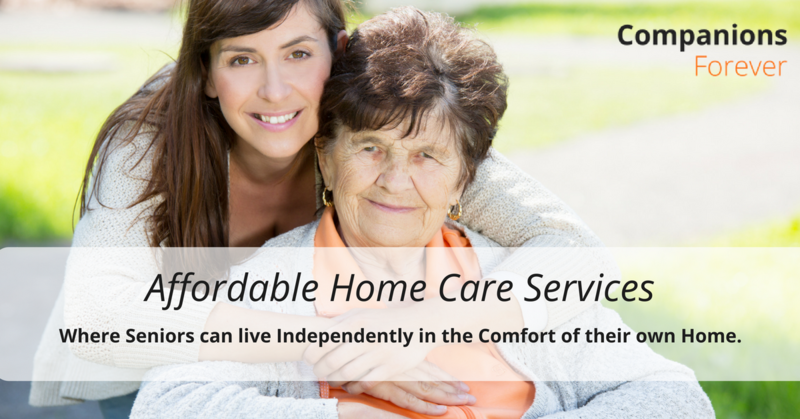 Companions Forever are committed to finding payment options for all seniors looking for in-home care services. We offer a full list of services to both private and public-assisted clients and participate in many state programs. CT has many public assistance programs for seniors at risk of nursing home placement. These programs allow seniors to stay independent by offering financial assistance to eligible seniors with critical needs such as bathing, feeding, and companionship. Companions Forever can help you or your loved one apply for public assistance and get the home care needed to stay independent and happy at home. Our experience with Connecticut programs for the elderly allows us to help seniors who want to stay in the comfort of their own home. Our team is here to help those who need assistance in finding elderly home care. We have experience working with CT programs for the elderly and have many recipients as clients. If you are looking for senior home care and don’t know where to start, you can give us a call anytime to learn more about your eligibility and the services we provide. We’re here to help all seniors stay independent at home. Our caregivers are experienced and trained to meet the needs of seniors living at home. We carefully match caregivers to clients based on their service needs, personality, and lifestyle. We ensure that our caregivers provide an experience that enhances the lives of seniors and allows them to stay independent at home. We offer care to seniors from all financial backgrounds. Our private rates are affordable and we work with each senior individually to ensure that proper care is provided at a reasonable price. Each Senior looking for home care from Companions Forever will receive their own Client Relations team member that will oversee all of their services and payment options.